Mini Pumpkin Bundt Cake – Adorable recipe and they are really easy to make! It is perfect for Thanksgiving or even Halloween party! 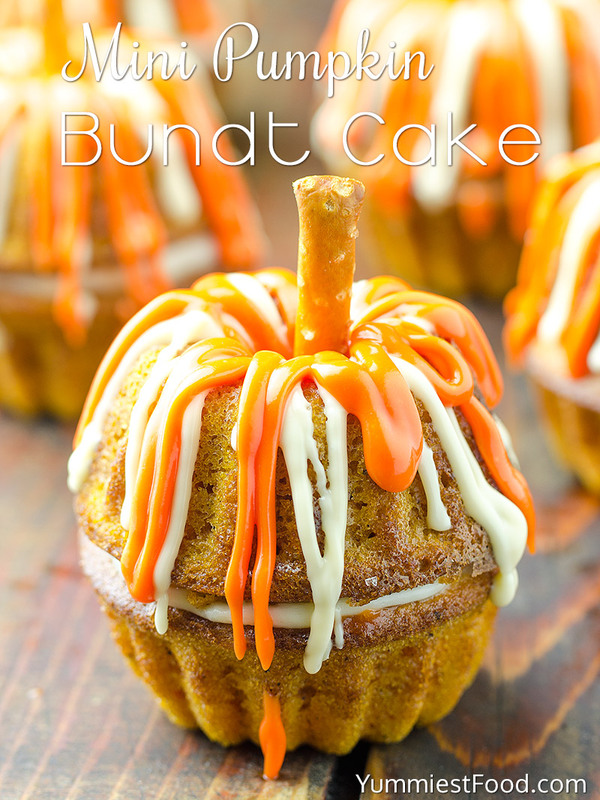 A frighteningly delicious treat with pumpkin and cream cheese filling – Mini Pumpkin Bundt Cake! Holidays are coming and we want something nice sweet and funny for our children. You want something which will make your holidays nicer and special. 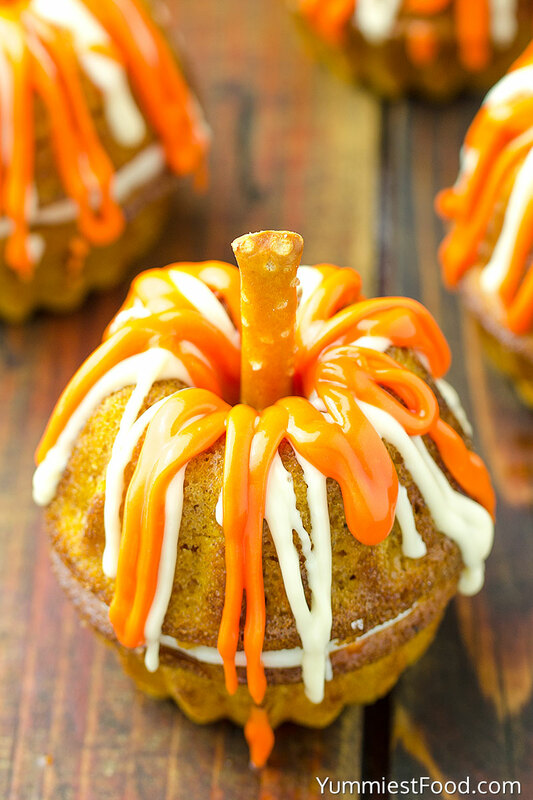 Try to make this Mini Pumpkin Bundt Cake. 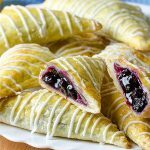 This is great recipe! 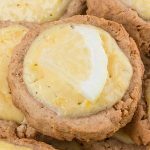 You need to add cream cheese fill inside two Bundt cookies and you will get small pumpkins. Pumpkin shape and taste in the same time. This recipe is one of my favorites for Thanksgiving Day. 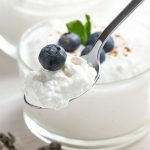 I am sure your family and children will like this recipe very much. I don’t like fall very much, but there is something that makes me happy. I like very much vegetables and fruits which grow in this period of year. 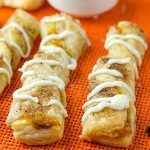 The queen of fall, pumpkin is coming and with her there are so many delicious recipes which will make magic in your kitchen. 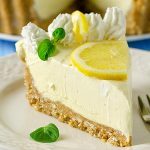 These recipes will warm your body and you can make a decision if you want to make something sweet or salty. Every way you choose you won’t make mistakes because pumpkins are delicious. For making this recipe I have used classic recipe for pumpkin cupcakes because we like it very much. I can’t wait for holidays. Every year for holidays I make my favorite Pumpkin recipe especially for Thanksgiving Day. 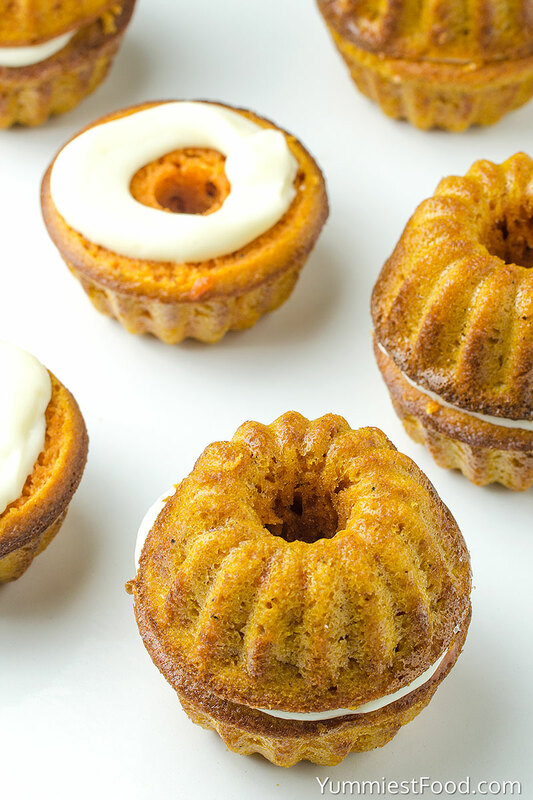 Today, I am sharing with you Mini Pumpkin Bundt Cake. 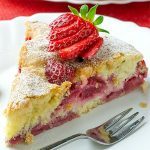 For holidays we are spending time together preparing meals and desserts and this sort of dessert is one of favorite to my children. They really like making different decorations. If you don’t have time for decoration you can pour it with chocolate. I choose white and orange candy melts this time. You can make this recipe for Halloween also but with different decoration. Let the magic do the things. Pumpkin and cream cheese filling I like the most and I am pretty sure that this is the perfect combination. Looks delicious and it taste delicious! Enjoy! Mini Pumpkin Bundt Cake - Adorable recipe and they are really easy to make! It is perfect for Thanksgiving or even Halloween party! A frighteningly delicious treat with pumpkin and cream cheese filling - Mini Pumpkin Bundt Cake! 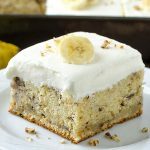 this mini cake in addition to looking very good is perfect to decorate the table for a year anniversary of my son was looking for something to escape the traditional I found this recipe that falls well in the event.very good your blog and what put in it. Congratulations. 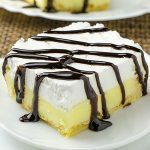 What type of pan or molds are you using. Where to purchase. Sizes. 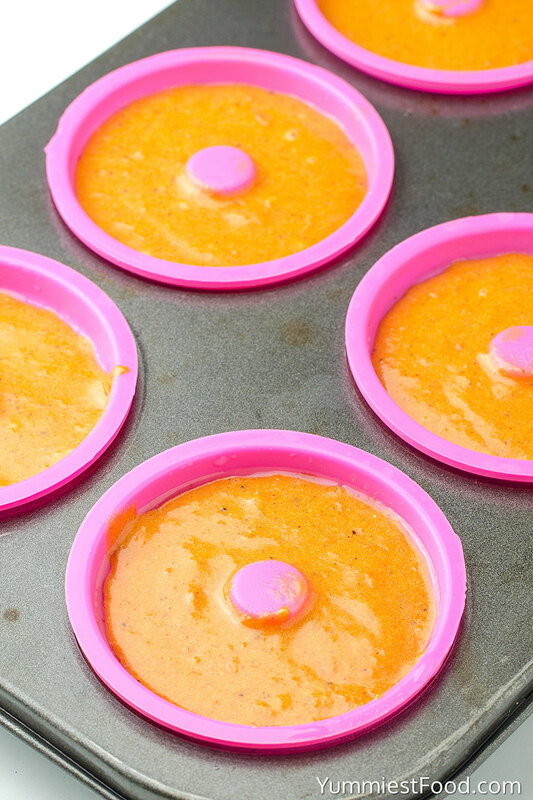 Hi Ralph, I used mini silicone flexible Bundt molds, size 60X60X30 mm. I bought it online eBay.